Renal hypoplasia (or kidney hypoplasia) means that part of a kidney does not fully develop in the womb. The kidney may be only slightly smaller than usual or it may be tiny. Because of its size, it may not work as well as a normal-sized kidney. Renal hypoplasia may be picked up before birth on the 20 week antenatal ultrasound scan, or soon after birth. It may also be picked up in an older child who has some symptoms. It is quite a common – it is estimated that one baby in a few hundred will be born with one hypoplastic (small) kidney. If this affects one kidney, it is called unilateral renal hypoplasia. Many children with one small kidney do not have long-term problems, but may need to go back to the doctor for tests. If this affects both kidneys, it is called bilateral renal hypoplasia. This is more serious. These children need follow-up throughout their lifetimes to check for any long-term problems. Renal hypoplasia is relatively common – it is estimated that one baby in a few hundred is born with a small kidney. It is not always possible to know why renal hypoplasia happens. In the majority of cases, it is not caused by anything that the mother does during her pregnancy, and it is unlikely that a future pregnancy will result in renal hypoplasia or other problems with the kidneys. The 20 week antenatal ultrasound scan looks at your baby growing in the womb. Renal hypoplasia may be suspected if one or both of the kidneys look smaller than usual but otherwise normal. Sometimes, renal hypoplasia is only picked up after birth or when a child is older. It is usually found during a scan that a child is having for another reason, such as a urinary tract infection (UTI) or after an accident. Sometimes, renal hypoplasia is thought to be another type of problem with the kidney(s). Multicystic dysplastic kidney (MCDK) – a more severe form of renal dysplasia. The whole of the affected kidney is a bundle of many cysts, and does not work. Sometimes, renal hypoplasia can be seen with other conditions that happen in the womb. Antenatal hydronephrosis – one or both kidneys do not drain urine properly – usually because there is a blockage affecting how urine leaves the body. The affected kidney can become stretched and swollen. Antenatal hydronephrosis often gets better at a later stage in the pregnancy, but your doctor will check how your baby is affected. Vesicoureteral reflux (VUR) – when babies with VUR pass urine in the womb, some urine refluxes (goes back up) towards, and sometimes into, the kidneys. This can affect the fully working kidney and/ or the hypoplastic kidney. After your baby is born, he or she may need some imaging tests (scans). These use special equipment to get images (pictures) of the inside of the body. They are used to confirm that your child has renal hypoplasia and look for any complications. In unilateral renal hypoplasia, one kidney is smaller than usual. (‘Unilateral’ means one side.) Most babies born with one small kidney have no complications and do not need special treatment. However, they may be at risk of or urinary tract infections (UTIs) and/or hypertension (high blood pressure) later in life. Sometimes the other kidney grows larger than normal to make up for the one small kidney. In bilateral renal hypoplasia, both kidneys are smaller than usual. (‘Bilateral’ means two sides.) Some babies born with two small kidneys have no immediate complications. Others need more support at birth, including ventilation to help them breathe. All children with bilateral renal hypoplasia need monitoring, as some may go on to develop kidney failure. This occasionally happens while a baby or child is young, but is more likely to occur later in life, especially during puberty when children’s bodies grow quickly. Children need to go back to the hospital or clinic throughout childhood to check how well their kidneys are working. Treatment can be started as soon as it is needed, to help your child grow and remain healthy. Eventually the kidneys may stop working and dialysis may be needed. Doctors understand that there are some possible causes of renal hypoplasia, though it may not always be possible to identify the cause in your baby. It is not usually caused by anything that the mother does during her pregnancy. It is one type of congenital anomaly of the kidneys and urinary tract. ‘Congenital’ means that the problem is present at birth and ‘anomaly’ means different than normal . Renal hypoplasia is relatively common. It is estimated that one baby in a few hundred is born with a kidney that is smaller than usual. Renal hypoplasia happens when part of the kidney does not develop properly in the womb. The kidneys form while a baby is growing in the womb. 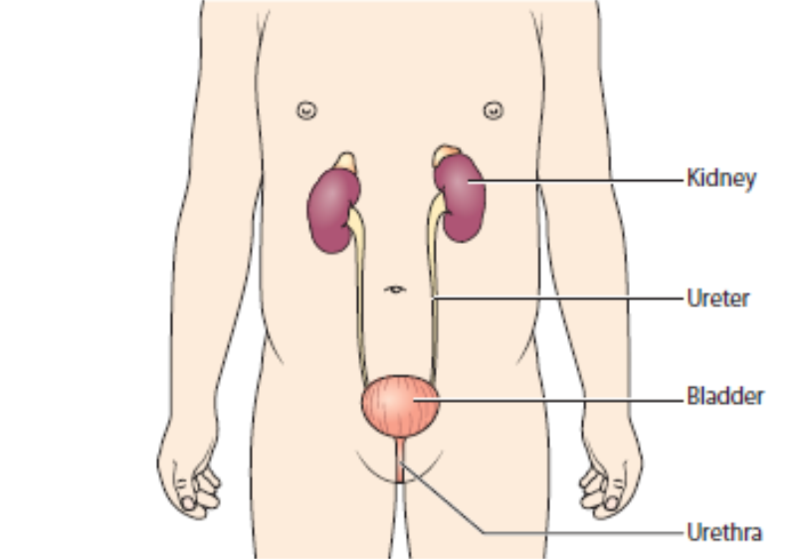 Normally, two tubes, which become the ureters, grow from the bladder into tissue, which becomes the kidneys. These tubes form the renal pelvis, the part of the kidney that collects urine. These tubes also form long tubes that link to the nephrons, the many tiny parts that filter blood and make urine. In renal hypoplasia, this process does not work, so that the kidney does not grow normally. The kidney is smaller than usual and has fewer nephrons. A hypoplastic kidney may not be able to remove as much waste, water and salts from the body as a normal kidney. If one kidney is hypoplastic and the other kidney is normal, together they can usually work well enough for there to be no problems. It is often not possible to explain why renal hypoplasia happens. However, there are rare causes that can be identified. Most cases of renal hypoplasia are not inherited from the baby’s mother or father. However, some cases are caused by genetic mutations. These are problems in the genes (which are in each of our body’s living cells), which are passed on by the parents. Occasionally, renal hypoplasia is part of a syndrome, which a collection of symptoms and signs. These children may also have other problems, such as with their digestive system, nervous system, heart and blood vessels, muscles and skeleton, or other parts of their urinary system. These may be caused by genetic mutations. A few cases of renal hypoplasia are caused by some medicines taken by the pregnant woman – including some prescribed medicines for seizures (also called convulsions or fits) or high blood pressure (such as angiotensin-converting enzyme (ACE) inhibitors and angiotensin receptor blockers (ARBs)). Speak with your doctor about the medicines that you are taking. It may be also be caused by some illicit drugs, such as cocaine. Unless you have been told that your baby’s renal hypoplasia was caused by a genetic mutation, it is unlikely that a future pregnancy will result in renal hypoplasia, or other problems with the kidneys. If one of your children has renal hypoplasia, it is unlikely that another of your children or family members will get it. Your doctor or healthcare professional will be able to give you more information. In unilateral renal hypoplasia, one kidney is smaller than usual because it has not fully developed while a baby is growing in the womb. (‘Unilateral’ means one side.) The other kidney usually looks and works as normal, and may grow larger to help do the work of two kidneys. Most people have no long-term problems with unilateral renal hypoplasia, and some do not know that they have one kidney that is smaller than usual. Bilateral renal hypoplasia may be suspected on the 20 week antenatal ultrasound scan, which looks at your baby growing in the womb. You may need more ultrasound scans during the pregnancy to find out how the hypoplasia is affecting your baby. It does not usually have an impact on how your baby is delivered. After your baby is born, he or she may need some imaging tests (scans) to confirm the condition and look for any complications. These use special equipment to get pictures of the inside of the body. An ultrasound scan is usually done first. This looks at the shape and size of your baby’s kidneys and other parts of the urinary system. A small handheld device is moved around your child's skin and uses sound waves to create an image on a screen. DMSA scan –checks for any damage on the kidneys. A chemical that gives out a small amount of radiation is injected into one of your child’s blood vessels. This chemical is taken up by healthy parts of the kidney and a special camera takes pictures. Cystourethrogram or MCUG (sometimes called a VCUG) – usually for babies and children who are suspected of having vesicoureteral reflux (VUR). In this condition, some urine refluxes (goes back up) the wrong way up the ureters towards, and sometimes into, the kidneys. This test can check how your baby is passing urine. A special X-ray machine takes a series of images of the bladder while your baby is passing urine. In most cases, babies do not need treatment. A small number of children have symptoms or complications, which may not happen until later in life. These may need follow up or treatment, such as medicines . If your child has hypertension, he or she will need to reduce their blood pressure so it is in the healthy range. Your child will probably need to eat a no-added salt diet, and may need to take medicines, to control his or her blood pressure. It is also recommended that all chidren, especially those with hypertension, keep to a healthy body weight and exercise regularly. Occasionally, children who have a hypoplastic kidney that is not working well and have blood pressure that cannot be controlled will need the hypoplastic kidney removed in an operation called a nephrectomy. You may be referred to a paediatric nephrologist, a surgeon who treats children with problems in their urinary system, to discuss the operation. UTIs that keep coming back are more in children who also have vesicoureteral reflux (VUR), when some urine refluxes (goes back up) towards, and sometimes into, the kidneys. In many people with unilateral renal dysplasia, the other kidney works normally. The normal kidney can work harder to compensate and do the work of two kidneys. Many people live normal lives with unilateral renal hypoplasia. The other kidney usually works normally, and may grow larger to help do the work of two kidneys. Your child should be able to do all the things other children their age do. He or she can go to nursery and school, play with other children and stay active. urine tests – to check for for protein in his or her urine (proteinuria), which may be a sign of problems in the kidney. You or a nurse will collect some of your child’s urine in a small, clean container. A dipstick is dipped into the urine – this is a strip with chemical pads that change colour if there is protein . This is the end of the information about unilateral renal hypoplasia. If you would like to read more about tests and diagnosis, treatment or supporting information, you can find a list of topics covered on the infoKID website at www.infoKID.org.uk. You may need more ultrasound scans during the pregnancy to find out how the hypoplasia is affecting your baby. In the most severe cases, these problems can be life threatening and the baby may have kidney failure from birth. A team of healthcare professionals experienced in delivering babies and treating newborn babies with these problems will give you support. They will discuss with you all the options, and agree a plan for the remainder of the pregnancy and the delivery. After your baby is born, he or she may need some imaging tests (scans). These use special equipment to get images of the inside of the body. They are used to confirm that your child has bilateral renal hypoplasia and look for any complications. DMSA – looks at the kidneys to check for any damage. A chemical that gives out a small amount of radiation is injected into one of your child’s blood vessels. This chemical is taken up by healthy parts of the kidney and a special camera takes pictures. Cystourethrogram or MCUG (sometimes called a VCUG) – usually for babies and children who are suspected of having vesicoureteral reflux (VUR). In this condition, some urine refluxes (goes back up) towards, and sometimes into, the kidneys. This test can check how your child is passing urine. A special X-ray machine takes a series of images of the bladder while your baby is passing urine. 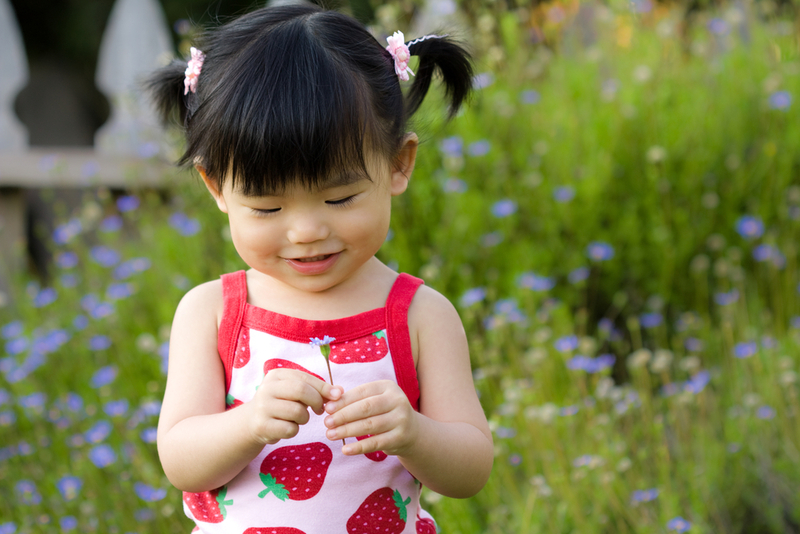 A small number of children have complications if the hypoplasia is severe in both kidneys. If your doctors think that your baby might have problems from birth, he or she will be reviewed by healthcare professionals experienced in looking after newborn babies. Your baby may need to be admitted into a neonatal unit, a special ward of the hospital for newborn babies. The team of healthcare professionals will measure how much urine your baby is passing, and how much he or she is growing. If your baby needs help breathing, he or she can be given oxygen or ventilation, using a machine that moves breathable air in and out of the lungs. Many of these babies improve as they begin to grow but occasionally in very severe cases this is not the case. Usually – even if the hypoplastic kidneys are not working as normal – they are working well enough that there are no symptoms at birth. Because hypoplastic kidneys may not grow normally, children will need blood tests throughout their life to measure kidney function (how well their kidneys are working). If your child has hypertension, he or she will need to reduce their blood pressure so it is in the healthy range. Your child will probably need to eat a no-added salt diet, and may need to take medicines, to control the blood pressure. It is also recommended that all children, especially those with hypertension, keep to a healthy weight and exercise regularly. Rarely, children who have a hypoplastic kidney that is not working well and have blood pressure that cannot be controlled, will need the hypoplastic kidney removed in an operation called a nephrectomy. You may be referred to a paediatric urologist, a surgeon who treats children with problems in the urinary system, to discuss the operation. urine tests – to check for for protein in his or her urine (proteinuria), which may be a sign of problems in the kidney. You or a nurse will collect some of your child’s urine in a small, clean container. A dipstick is dipped into the urine – this is a strip with chemical pads that change colour if there is protein in the urine. This is the end of the information about bilateral renal hypoplasia. If you would like to read more about tests and diagnosis, treatment or supporting information, you can find a list of topics covered on the infoKID website at www.infoKID.org.uk.